Thank you for considering TJC! We’re here to help you transition into college life and ensure your success. 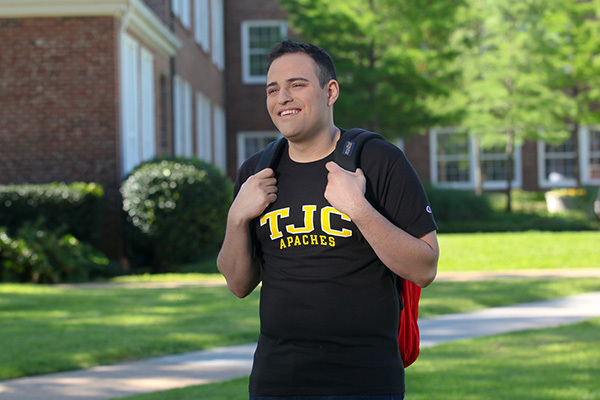 TJC has an open-door admissions policy that encourages everyone to pursue their dreams of a quality, affordable education. The application is online and free for all students who wish to apply. Applications are open for Spring and Fall 2019. Apply Online! Apply and enrolling in classes at TJC is easy. Our application is free, online, and takes 10-15 minutes to complete. TJC has more than 125 degree programs, and we're the only Texas community college approved to offer a Bachelor of Science Degree in Dental Hygiene. TJC is one third the cost of a public four-year institution, and we offer thousands of locally funded scholarships. TJC named as one of the nation’s top 150 community colleges - from nearly 1,200 community colleges nationwide. Congratulations on becoming an Apache! You'll want to make sure to attend New Student Orientation to get acquainted with everything on campus. Schedule an individual or group tour and visit TJC's beautiful 137-acre campus. The Admissions' office is on the first floor of the White Administrative Services Center.